Greg Bikofsky, the owner of Food Quality Services LLC, is a registered SQF consultant and a registered HACCP trainer. He is a Food Scientist, BS Rutgers Food Science ’92, with over 20 years providing food safety expertise to the food industry. He is experienced in food safety training, and is a registered food safety trainer with the National Environmental Health Association and the National Restaurant Association (ServSafe). 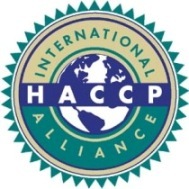 He has advanced HACCP certifications, Seafood HACCP certification and is an experienced HACCP trainer, providing public and private HACCP training courses, and other food safety related training courses throughout the United States. He has experience preparing companies for 3rd party food safety audits like (Silliker, Steritech, NSF, AIB, Primus), and he is a seasoned and registered SQF consultant, guiding companies from beginning to end through the SQF certification process, taking the lead in preparing and supporting the implementation of required procedures to help them achieve SQF certification. To our core, Food Quality Services is about providing small companies with affordable food safety and quality assurance expertise. 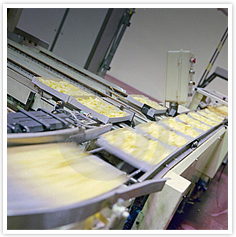 Contact us to go over your food safety and quality needs today. Lets discuss how we can help you.